Ukrainian President Viktor Yanukovych has reshuffled the government lead by Prime Minister Mykola Azarov. According to decrees published on the presidential Web site on Monday, former governor of the National Bank of Ukraine Serhiy Arbuzov was appointed to the post of the first deputy prime minister, former energy and coal industry minister Yuriy Boiko and former head of Dnipropetrovsk Regional Administration Oleksandr Vilkul were appointed as deputy prime ministers. Former advisor to the president and his representative in the Constitutional Court of Ukraine Olena Lukash was appointed as the minister of the Cabinet of Ministers of Ukraine. Head of the NBU Council Ihor Prasolov was appointed to the post of economic development and trade minister, former environment minister Eduard Stavytsky was appointed as the head of the Energy and Coal Industry Ministry, former deputy head of Dnipropetrovsk Regional State Administration Hennadiy Temnyk as the regional development minister, ex-head of the State Geology and Mineral Resources Service Oleh Proskuriakov as the ecology and natural resources minister. Head of the State Railway Administration of Ukraine (Ukrzaliznytsia) Volodymyr Kozak was appointed to the post of infrastructure minister of Ukraine. Ukraine-Forward! Party Leader Natalia Korolevska was appointed as Ukraine's social policy minister. Party of Regions' MP Leonid Kozhara was appointed as Ukraine's foreign minister, another Regions Party MP and honorary president of Inter Car Group holding Pavlo Lebedev was appointed as the defense Minister. The president also reappointed Vitaliy Zakharchenko as the interior minister, Oleksandr Lavrynovych as the justice minister, Raisa Bohatyriova as the health minister, Yuriy Kolobov as the finance minister, Dmytro Tabachnyk as the education, science, youth and sports minister, Mykola Prysiazhniuk. At the same time, there has been no decree about the appointment of new industrial policy minister. Yanukovych has also reorganized the Emergency Situations Ministry and the State Inspectorate for Technogenic Security into the State Service for Emergency Situations and appointed former first deputy head of the Emergencies Ministry Mykhailo Bolotskykh as the head of the service. 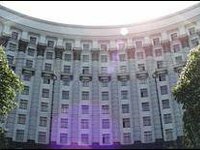 The president also reorganized the State Tax Service and the State Customs Service into the Ministry of Revenues and Duties of Ukraine and appointed ex-head of the State Tax Service Oleksandr Klymenko as its head. The head of state also signed decrees appointing former deputy chairman of Vinnytsia Regional State Administration Ivan Movchan as the governor of Vinnytsia region and ex-head of the State Agency of Ukraine for the Management of State Corporate Rights and Property Dmytro Kolesnikov as the head of Dnipropetrovsk Regional State Administration. As reported, following the October 28 parliamentary elections, the head of state accepted the resignation of Ukrainian Prime Minister Mykola Azarov and the entire composition of the Cabinet of Ministers on December 3. On December 9, the president nominated Azarov for premier. On December 13, the parliament approved the president's proposal to appoint Azarov as prime minister. According to the Constitution of Ukraine, the president of Ukraine appoints the prime minister following the approval of the candidacy by more than a half of the constitutional membership of the Verkhovna Rada, Ukraine's parliament. The president also appoints the staff of the government nominated by the premier.